Currently, all of our products are offered as electronic downloads. We no longer offer hard copies of our products. Instructions on how to access your products will be emailed to you with your purchase. 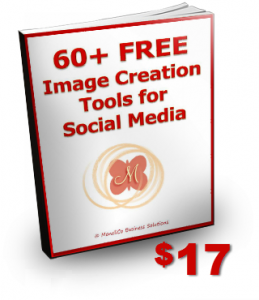 60+ FREE Image Creation Tools for Social Media E-Book – Recently updated to include the best online tools, free software downloads, and mobile apps to create professional looking graphics and enhance images for use on social media (or anywhere, really) absolutely FREE. Images are the most engaging type of content posted and shared on Facebook. You don’t have to be a designer, or hire one, to create great images to share. There are many image creations tools out there–some are free, some very expensive. This e-book compiles a list of over 60 FREE image creation tools and sorts them into categories like: Complete Start-to-Finish (for beginners), Free Alternatives to Photoshop, Collage Makers, Screen Capture/Recording, Infographics, Resizing & Optimization, Text & Quote Images, and more! You will get a brief description of each, a direct link to the tool, and a screenshot or example of what each tool can do. View your cart contents in the upper right section of this page. 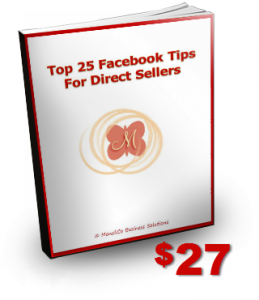 Top 25 Facebook Tips Specifically for Direct Sellers – A 55 page tutorial with step-by-step instructions and video links on tips like: How to properly set up (or edit) your Business Page, How to link your business page to your personal profile, How to increase visibility in News Feeds organically, How to schedule your posts, How sharing works and how doing it wrong is hurting your business, How to separate business from personal and protect your privacy, How to set up custom tabs and use Facebook apps. And much more! This is one of our best selling products! 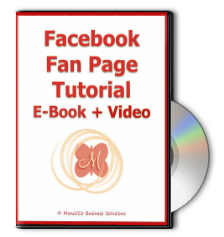 Step-by-Step Tutorial on How to Set Up a Facebook Fan Page for Your Direct Sales Business – This is a 35 minute video with very simple, step-by-step instructions on how to set up a Facebook Business Page (aka Fan Page). 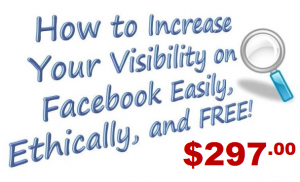 It is intended to be a beginner level tutorial for someone who has limited knowledge of how Facebook Business Pages work. You should, however, have basic knowledge of how Facebook works and have already set up a personal Facebook Profile (your Facebook account), but not much more knowledge is needed beyond that. THIS PRODUCT IS CURRENTLY BEING UPDATED. THANK YOU FOR YOUR PATIENCE. 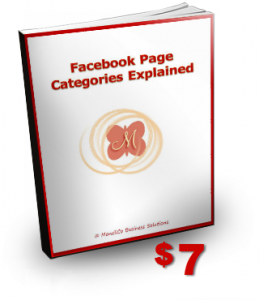 Facebook Page Categories Explained – A 25 page tutorial with details and instructions for choosing the right Page Type for your business and how to display your Categories on your Business Page. Your purchase also includes a downloadable spreadsheet of the 872 Subcategories Facebook offers listed in alphabetical order, and by Parent Subcategory. One Hour Phone Consultation with Screen Sharing – Need some one-on-one help? Schedule a personal consultation over the phone with Monica Ramos, MBS Social Media Trainer. She will walk you through any issues you are having to help you find the solutions and show you how to solve them yourself in the future. Screen-sharing can be set up if necessary so you can see exactly what she is talking about as you are working through it together. 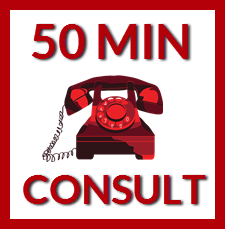 Consultations can be purchased in 50 minute increments for $200 and are scheduled by appointment Monday – Friday 8:30 am – 1:30 pm PST. Evenings and weekends may be available if needed. This course will be starting again in August 2016, as an interactive e-course. To view the current Facebook Only special offer, click here.